Executive Vice Chairman, Vistaar Financial Services Pvt. Ltd.
Brahmanand Hegde is a financial inclusion and rural banking specialist, having worked in this space for over 30 years. Currently Brahmanand is Co-founder and Ex Vice Chairman of Vistaar Finance, based out of Bangalore, India. Vistaar is a pioneer in the field of Small Business Financing and currently one of the largest specialist lenders in this space. Earlier, Brahmanand was Director -Rural Finance, Fullerton India, a Temasek subsidiary, responsible for conceptualizing and executing rural business strategy for Fullerton. 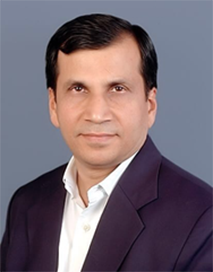 Prior to that Brahmanand worked in ICICI Group between 1992 to 2007, in various roles from strategy to execution in the area of financing agribusiness projects, project finance, rural and agri banking, During this phase, he worked very closely with the microfinance sector, lending to over 80 MFIs in the country. In his initial years in ICICI, he worked for Agri Business Division, responsible for implementing Agriculture Commercialization & Enterprise (ACE) programme for USAID, focused on post harvest infrastructure development for horticulture crops. Brahmanand is a Post-Graduate with M.Sc. from University of Agricultural Sciences, Bangalore and qualified CAIIB from Indian Institute of Bankers, Mumbai.